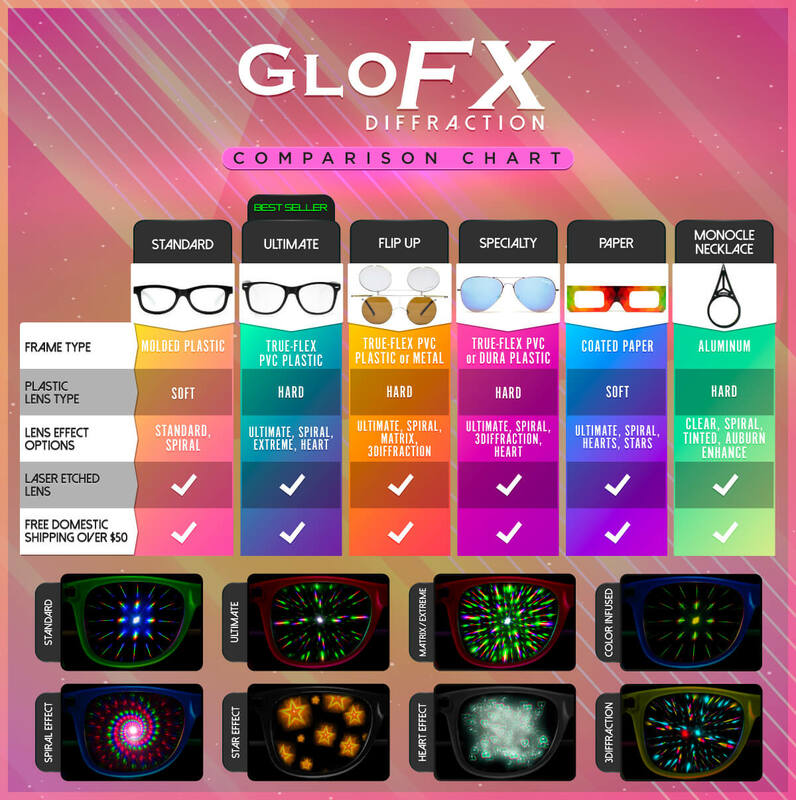 All new from the GloFX line of Diffraction Glasses. These frames feature the best of both worlds by combining our premium frames with a modern shutter design. The shutter design of these glasses does not block your vision and let’s through only the clearest most amplified rainbows.